Final Ep: "Mahoro Ekimae Tada Benri-ken: We'll be closing down the business"
Episode Synopsis. A lot of things are going through Tada's mind. He has heard that the restaurant of his widowed customer got thrashed by an iron pipe-wielding, hooded assailant. He can't do anything to help since the proprietress refuses to press charges against the culprit who happens to be her brother. Plus, the deadline for his moving out of the office building is drawing closer. Yet Tada is still undecided whether to transfer or just close down his Benri-ya business. Then, Gyoten discovers a man stretched out on the hallway in front of their office. It was the assailant, all bloodied up and beaten to a pulp. He lets him inside but later, Tada is furious after learning about it. "We don't have to do anything for him!" But the man pleads with them: "I'm in deep trouble! Please, let me hide here for a while!..." Ōne Hitoshi. Born in Tokyo in 1968, Ōne works mostly as a screenwriter/director. His first directorial job was for a karaoke video some 24 years ago (thus, ep.2). He says he's an ardent fan of midnight dramas, which makes up the main body of his works (Moteki, Akihabara@DEEP, Shukan Maki Yoko, Gekidan Engimono, Yukemuri Sniper). He also wrote and directed the hit movie "Moteki" which received an excellence award in the 35th Japan Academy Awards of 2012. "For the last scene, to have the light truck running with word "As much as" changed to "Any" is something I've planned in the early stages of filming. Just like the general feeling* that ran through this drama (*the feeling of "uncertainty"), it's neither a bad ending nor a happy ending, something like an open ending, that things will keep on going. I wanted to create an ending that will make the audience feel 'One day, Gyoten will be back and the story will keep going,' regardless of having a sequel or not." If I'm asked, it's possible but the original author, the two main actors.... there are many people involved and it's not possible unless their feelings and timings match. So I try not to say I want to do it. I'm not in the position to speak such a thing. I would like to see it as a viewer though (laughs)." Sakamoto Shintaro. 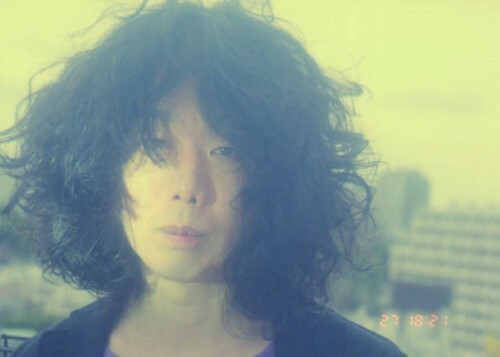 This naturally curly-haired singer/songwriter, producer, artist and musician was the former leader of the psych-rock band Yura Yura Teikoku. He hails from Osaka, cites Jimi Hendrix as his idol and is known to be publicity-shy. After disbanding his band in 2010, he went solo and created his own label zelone records. 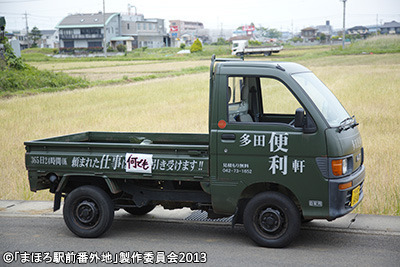 He is in charge of the music for the TV drama, "Mahoro," featuring his "Matomo ga Wakaranai" as the ending theme song. For lyrics and translation click HERE.